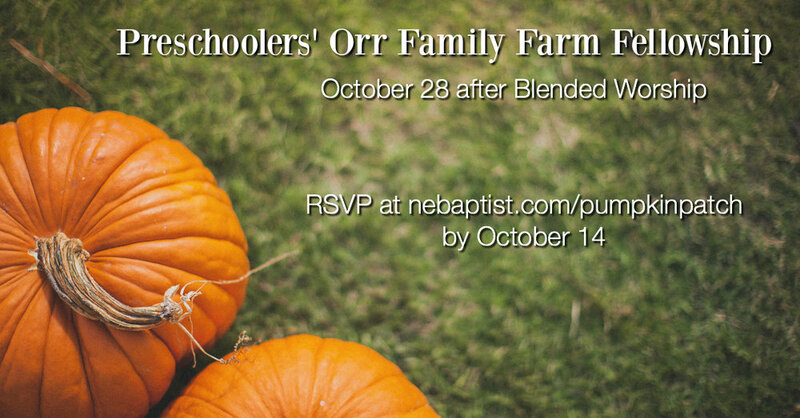 Preschool children (Babies-Kindergarten) and their families are invited to an outing to the Orr Family Farm on October 28, following the Blended Worship Service. Please RSVP by October 14 at nebaptist.com/pumpkinpatch. There is no cost to attend.